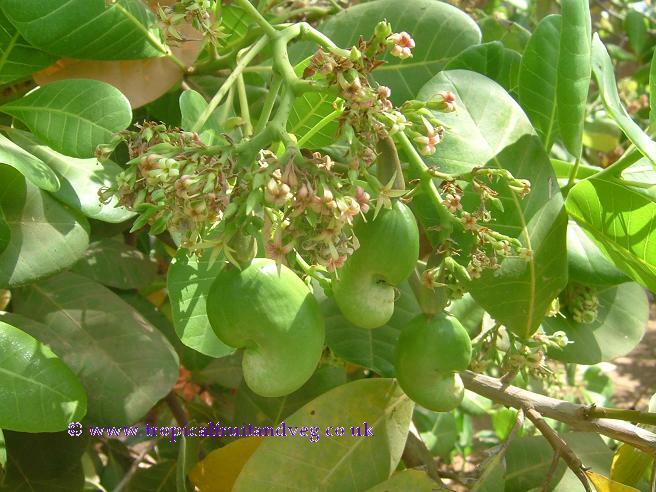 The tree is bushy, low-branched and spreading, it can reach 10m in height and width. 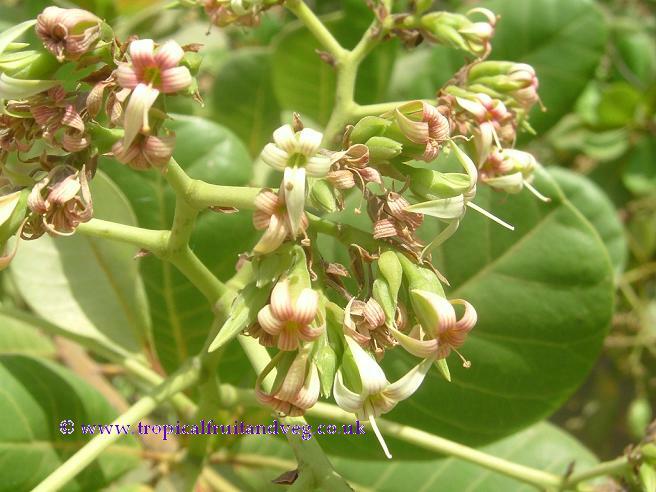 Yellowish-pink, 5-petalled flowers are borne in 15-25 cm terminal panicles of mixed male, female and bisexual. 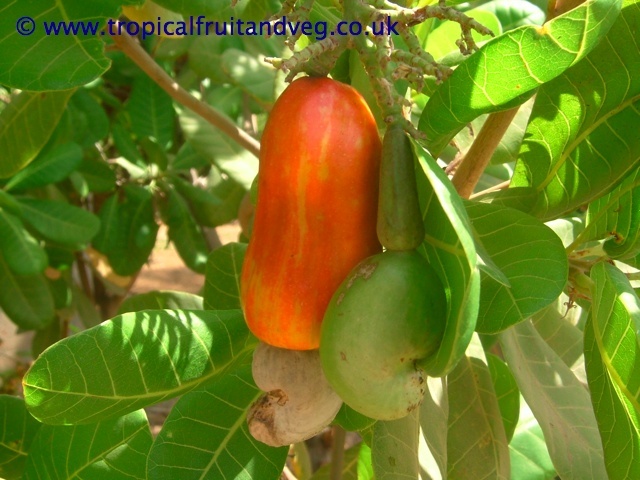 The true fruit of the tree is the cashew nut enclosed in the edible kidney-shaped kernel. 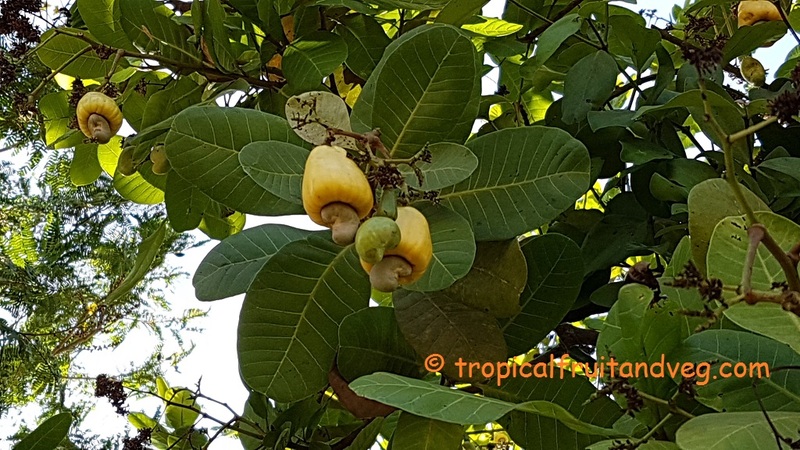 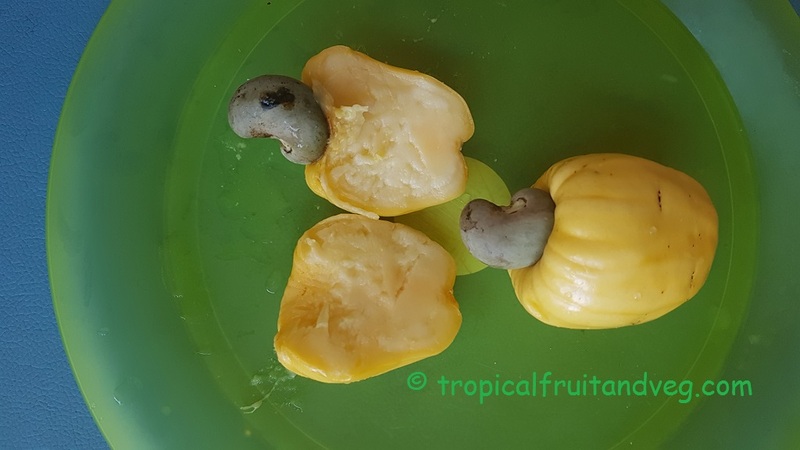 The cashew nut develops first and when it is full-grown but not yet ripe, its peduncle fills out, becomes plump, fleshy, pear-shaped 5-11 cm in length, with waxy, yellow, red, or red-and-yellow skin and spongy, fibrous, very juicy, astringent, acid yellow pulp. 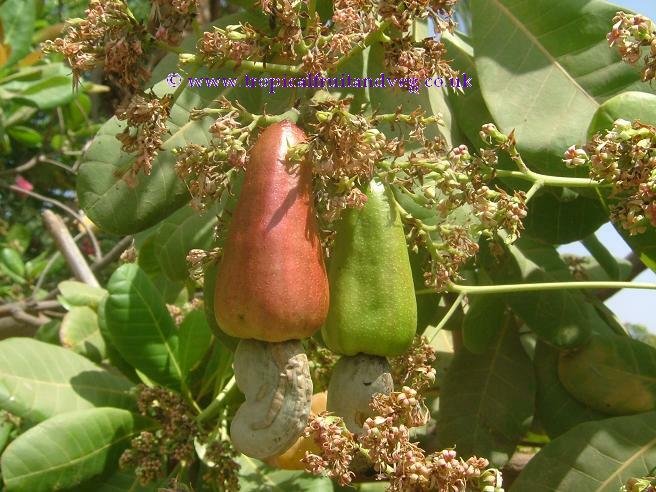 This is called cashew apple. 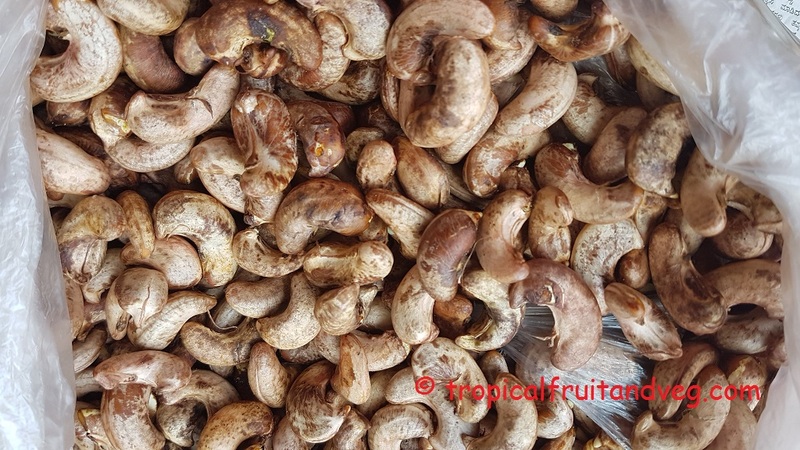 Cashew is a tropical fruit and although it can withstand high temperatures, a monthly mean of 25 �C is regarded as optimal.